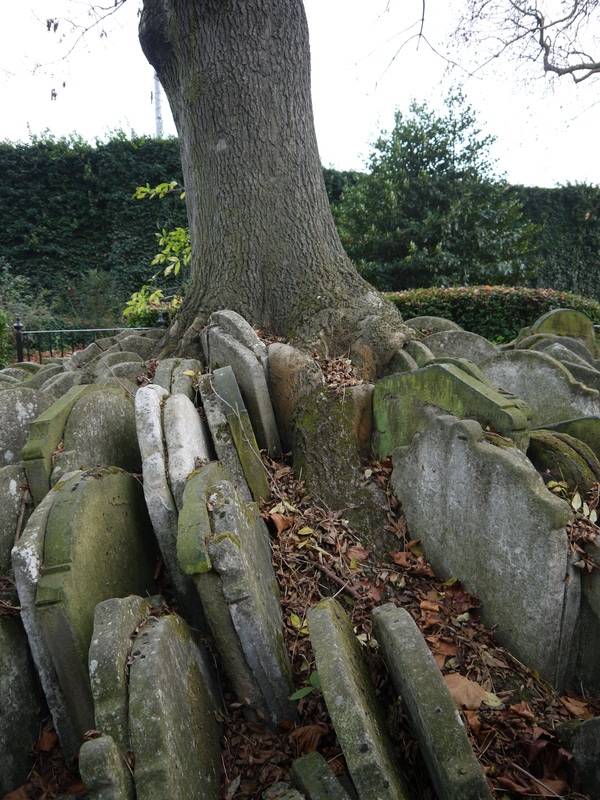 The graveyard of Old St. Pancras church is full of interest: tucked away behind the station, it contains several things worth missing a train for, not least some venerable old trees. The church itself has ancient roots although the current building is largely Victorian. It was originally perched on the banks of the semi-mythical river Fleet which, thanks to 19th century railway development, is now culverted and entirely hidden from view. This railway work also resulted in the churchyard being built on and the consequent need to move graves from the path of progress. I do not know whether any campaigning took place to stop the new railway slicing through this consecrated land, but I wonder if moving the graves and deconsecrating the land would have caused emotions to run high? It is a remarkable, ambiguous memorial reminiscent of a 20th century art intervention. A wheel of tombstones, each spoke made up of two rows back to back, at its apex is an Ash tree (Fraxinus excelsior) now grown so large that its roots ooze over and through the stones, the slow force of growth has cracked and broken them in places. The tree must be at least 163 years old – a youngster compared to how old the species can become. The whole ensemble is now known as the ‘Hardy Tree’ and takes an unconventional form inspired by expediency rather than the conventional architectural aesthetics of the day. Its purpose was surely to provide a fitting monument for the relatives of the moved, for some of the disinterred may have been recently buried judging by the style of the gravestones. 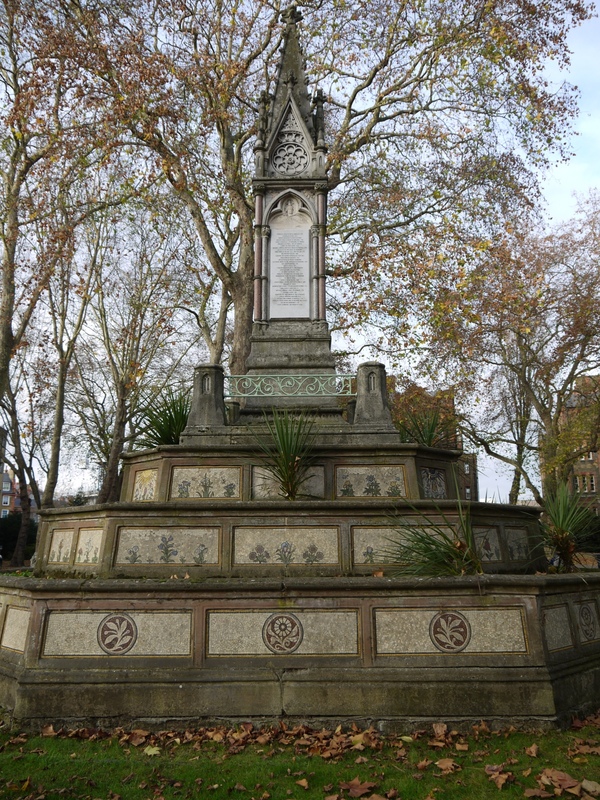 The Burdett-Coutts Memorial Sundial: Grade 1 listed high camp gothic pinnacle featuring Portland stone doggies, mosaic pansies and some lichen covered remnants of wrought iron railings. 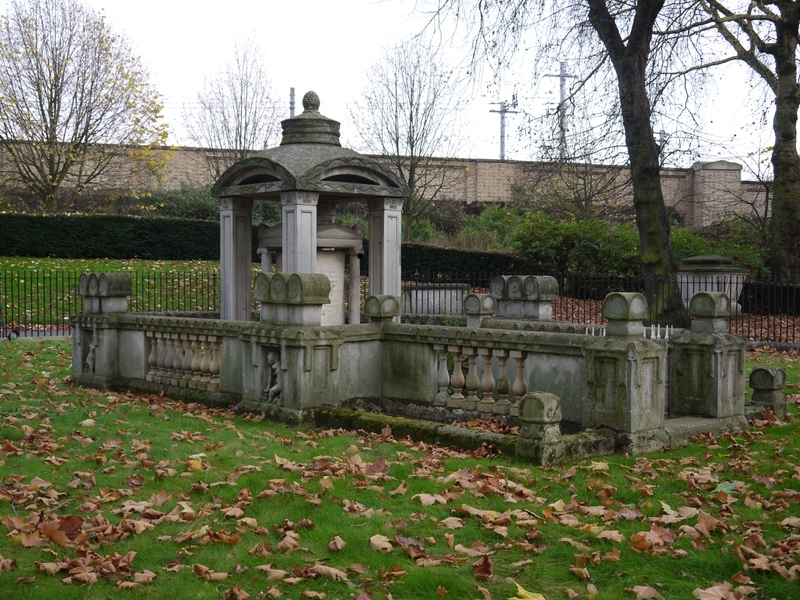 Sir John Soane's Memorial: An interesting, somewhat deconstructed assemblage of architectural elements carved from stone of varying hues. Allegedly the inspiration behind the red London phone box (a four-cornered low dome is featured in the centrepiece), it might also have inspired the inventors of Lego. 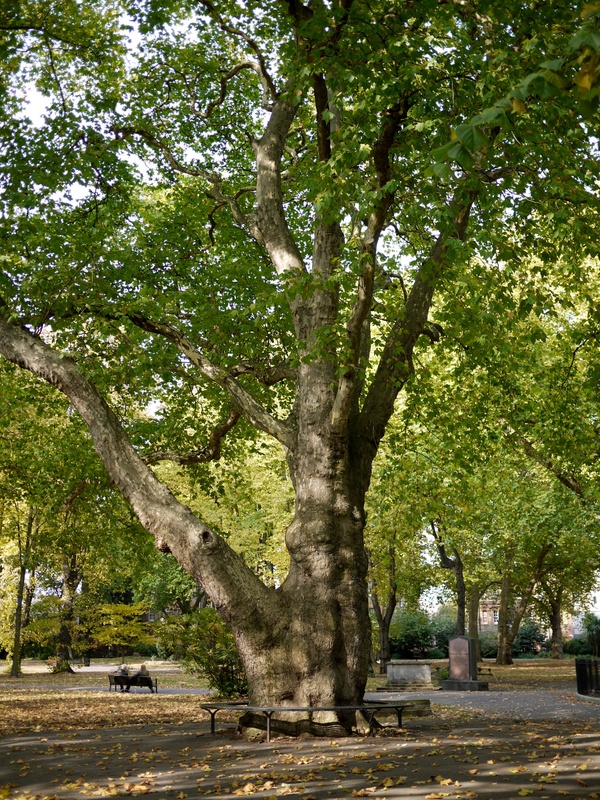 London Plane: A massive and splendid two hundred year old London Plane tree (Platanus x acerifolia) encircled by an iron bench. And if you’re still interested, I have posted more photos (including one of the Portland stone doggie) in an Old St. Pancras churchyard Flickr set. Also check out Hardy’s “Satires of Circumstance”- surely a reference? Chris. I was here too, a year later – http://blog.rowleygallery.co.uk/hardy-ash/ – I hope it’s still flourishing today.